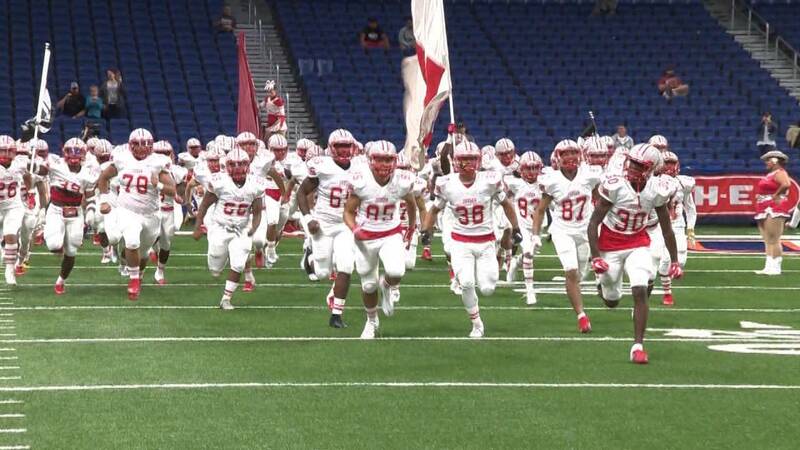 SAN ANTONIO, Texas - For the third time in the last two seasons, the Judson Rockets (12-0) will face the Lake Travis Cavaliers (11-1), this time with the Region IV title and a berth in the Class 6A State Semifinals on the line. This clash between two of the best football programs in the state of Texas will be the middle act of a triple header in the Alamodome this Saturday. Kickoff is scheduled for 2 p.m. The Rockets and Cavaliers split both of their previous meetings in 2017. Judson opened their season against Lake Travis with a 65-45 win, but in a second-round playoff rematch against the same Cavaliers, the Rockets fell short with a 47-39 loss at Royal Memorial Stadium. That loss is still fresh in the Rockets’ mind, and they’re looking forward to the rematch.